Meghan Markle is becoming well-known for her effortlessly elegant style. She knows what works for her, what she loves to wear, and how to make it look easy. One of her go-to outfits, whether she is at an event, a photoshoot, or the airport, is a classic button-down shirt (usually paired with her signature distressed denim, naturally). Meghan has worn cuffed shirtsleeves countless time, and will even cuff her biker jackets and blazers. It adds a touch of imperfection to an otherwise clean look. 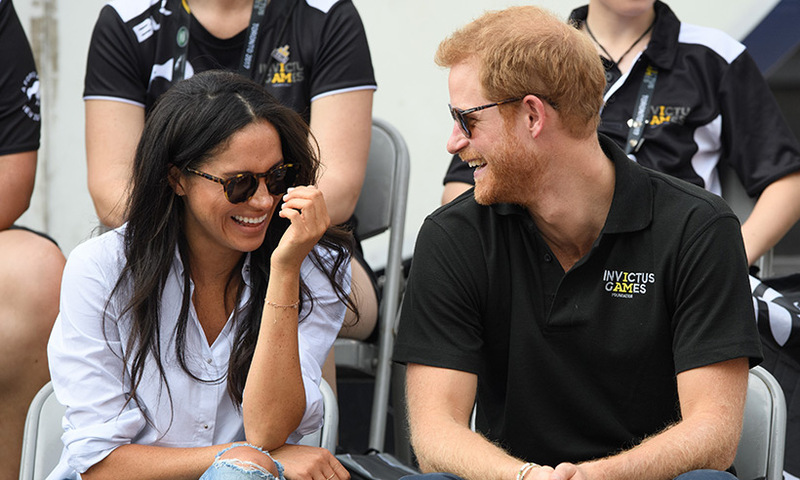 Many Meghan’s Mirror readers have commented on Meghan’s signature cuffed sleeves, and asking what her secret is. Although a simple button-down shirt creates an effortlessly easy outfit, styling these pieces can actually get kind of complicated. There are a dozen ways to roll your shirt sleeves, varying from business professional to totally casual, and changing based on fabric, weather, and activity. Who knew this kind of decision could be so intense? Real Men, Real Style breaks down a helpful guide to a few different styles, but the method that Meghan Markle uses is none other than the J. Crew Cuff. The “J. 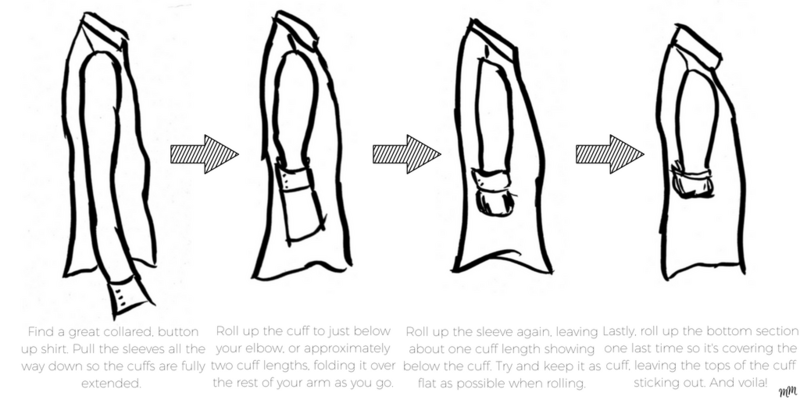 Crew Cuff,” a method of cuffing your shirtsleeves so that they stay put, but also look effortless. Whether you are rolling up your sleeves in the kitchen, or just cuffing them for a stylish look, this method is easy and effortless. Not to mention, it has the royal stamp of approval! Have you tried this trick for your button-down shirts? Let us know in the comments below! I have actually wondered how to cuff my button downs like this, so thanks! for this demo. I couldn’t figure out that last part although it seems so simple now. Good article. But her sleeves in all the photos are all crumpled! Don’t get it. my opinion is it looks best with a cotton shirt and not linen, which it appears Meghan wears. Personally, that’s why I don’t wear linen myself–the wrinkles! I learned this cuffing technique a year ago from Pinterest and it proved to be easy to do and it’s a great look. This is perfect! I was just wondering on Tuesday prior to voting just what her secret to cuffing was. I opted to fold my cable knit sleeves (totally not the same as a button down! lol) under my new stylish poncho (btw I never dreamed I’d ever refer to such as stylish yet again actually own one) and threw on a sleek pair of trainers. My own spin on Meghan’s style, but I feel Meghan would approve. Thanks for all you do here!! I check in often for inspiration ?